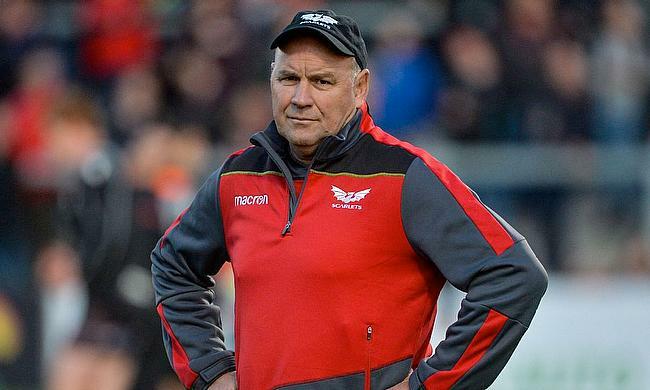 Wales have confirmed Scarlets head coach Wayne Pivac will succeed Warren Gatland after the 2019 World Cup. The 55 year-old has been in charge at Parc y Scarlets since 2014 and led the Welsh outfit to the Pro 12 title in 2017 as well as the last four of the European Champions Cup in 2018. Welsh Rugby Union (WRU) chairman Gareth Davies and chief executive Martyn Phillips announced the appointment at a scheduled press conference on Monday. "We have secured the best man for the job and we have done so rigorously and decisively," said Phillips. Pivac added: "What Martyn Phillips has achieved here is fairly unique in world sport, I have a further 12 months to dedicate my time to the Scarlets and, in the background, the necessary plans and preparations can be put in place to ensure a smooth transition after the World Cup. "To be able to complete the process this far in advance helps the Scarlets, helps Wales and affords me the luxury of time in which to prepare in earnest for one of the biggest jobs in the world game." Phillips continued: "There is no underestimating the positive benefit to be gained from having the time to plan properly for the future. "We have avoided the feeding frenzy that can come at the end of a RWC year and we have been meticulous in ensuring we have someone of the talent, experience, charisma and rugby acumen to do the very best possible job for Welsh rugby. Until Pivac takes up the role, which runs until after the 2023 World Cup in France, he will remain in charge of Scarlets. Pivac is no stranger to the international stage having been in charge of Fiji between 2004 and 2007 and now he prepares to become the latest New Zealander to take over at the Principality Stadium following in the footsteps of Graham Henry, Steve Hansen and the outgoing Gatland. Gatland has been in charge of Wales since 2007, winning three Six Nations titles as well as guiding the country to a World Cup semi-final. Not only the that, the Kiwi has also overseen a British and Irish Lions series win in Australia and a compelling tour of New Zealand last summer. But, his journey with Wales will come to an end next year and Phillips believes it is the right choice to bring in another native from New Zealand. He added: "We would like to have had more choice [of Welsh coaches]. "First and foremost we had to pick the best coach but in an ideal world that person would be Welsh as well, but there was not anyone we felt was ready to step into those shoes. "We will be working hard on that behind the scenes, it's not an easy fix, and you can't appoint someone because they are Welsh. "It's been a long process," Phillips continued. "We started with a criterion, working with Warren for what makes the ultimate Wales coach. "We were clear what we wanted at the start and as we had time on our hands we have been able to meet any candidate we wanted. "We probably interviewed nine to 10 coaches to get down to a shortlist and from there on in it has been about being critical about the selection, things that will make the real difference. "We were lucky Warren had given us plenty of notice so we could go a little bit early, hopefully we have been able to get the pick of the coaches we wanted and in Wayne that's what we believe we've done."